We’ve been away. Not for the whole time since the blog was last updated… that would be getting closer to a gap year than a holiday. Just a week away, staying in a little house on the Isle of Scalpay in the Outer Hebrides. 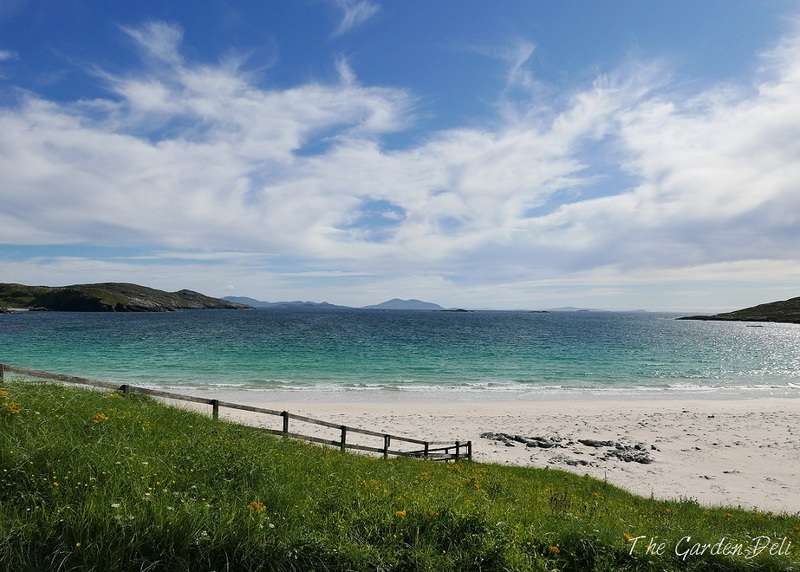 Over the last couple of years I’ve been reading two fabulous blogs which document life on this windswept, beautiful chain of islands – Food and Forage Hebrides and Croft Garden. Despite the wonderful descriptions and amazing photos on these blogs, I still wasn’t prepared for just how beautiful the scenery was in reality. There are long, white sandy beaches, backed by dunes. Lochs surrounded by heather-studded grass. Views across the sea to humpy, uninhabited islands. 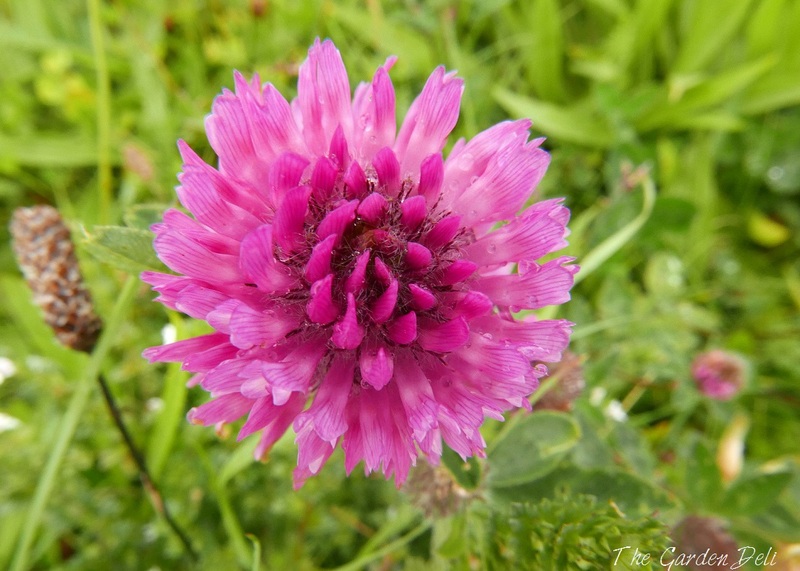 And so many wildflowers – harebells, clover, yarrow, ox-eye daisies and devil’s bit scabious among them. We rented a house to stay in and arrived at our home for the week to find a welcome pack of local produce. The chocolate fudge disappeared very quickly. Then there was seaweed shortbread which was perfect with coffee. 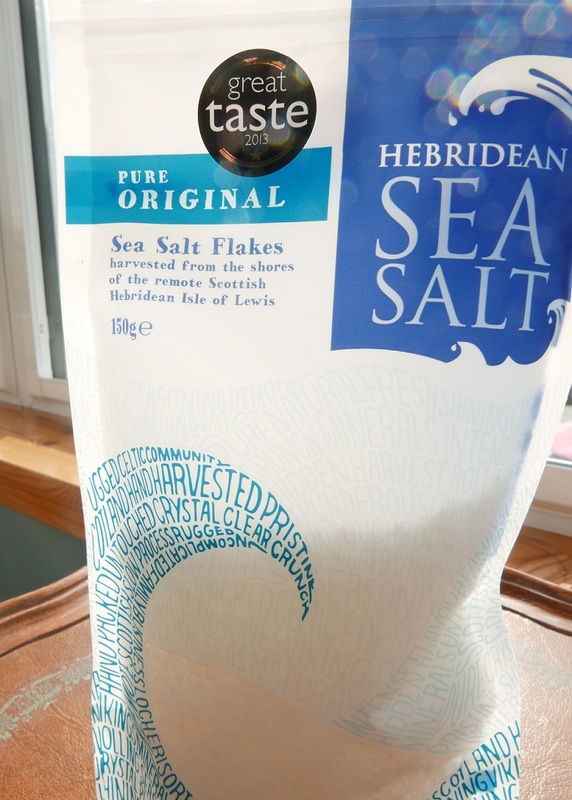 And a packet of Hebridean sea salt – just waiting to be sprinkled over focaccia dough before baking. Baking in a holiday rental house can be a challenge. It’s a different kitchen, a different oven and different utensils to work with. Luckily, bread-making isn’t an exact science. In fact, the holiday focaccia turned out better than any I’ve baked before. The flour and yeast, bought from the supermarket in Stornoway, were brands I’ve used before at home. 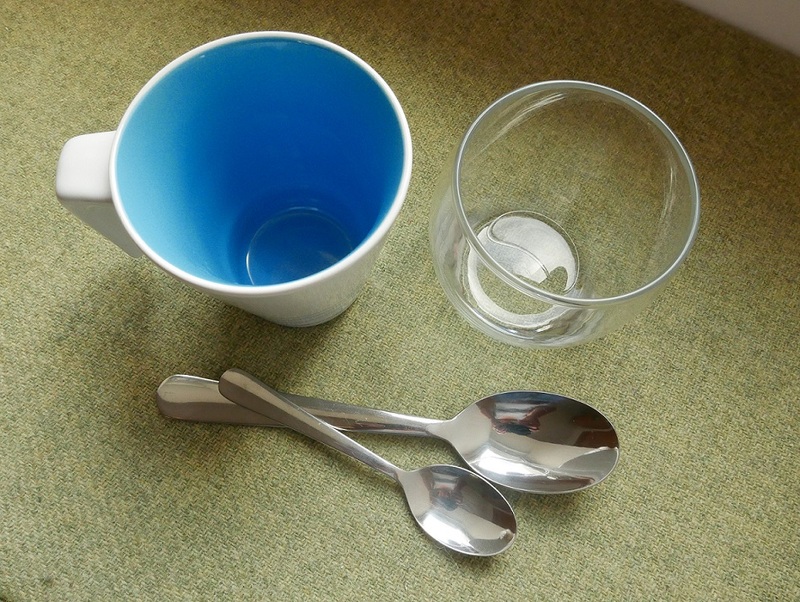 So the difference is probably down to either the oven or the water… Hebridean tap water is very soft. Or maybe it was the lack of precision in measuring out the ingredients. With no kitchen scales and no measuring cups, it was a case of using whatever came to hand. This is a recipe to try, then adapt to work best with your own way of measuring out ingredients, your own oven, and your own local ingredients. It really is an easy loaf to make – great with salads, pasta dishes, soups, and any that is left makes fabulous toast the next morning. Dissolve the sugar in the warm water, then whisk in the dried yeast. Leave to sit for 10 minutes or so – until a foamy froth starts to form on the top. In a mixing bowl, (or large pan if there are no mixing bowls to hand), mix the flour and salt. Add the yeast mixture, olive oil and enough cold water to make a ball of dough. Mix in the bowl/pan until the dough comes away from the sides, then tip out onto a clean work surface and knead for three minutes. Form the dough into a ball, cover and leave to rest for three minutes. Knead for a further three minutes, rest of three minutes and knead again for three. By this stage the dough should be smooth and elastic. Return to the bowl, cover and leave to rise for about 2 hours at room temperature. When the dough is roughly doubled in size, tip it gently on to the work surface. Shape into a round, then leave to rest for 10 minutes. While the dough is resting, oil a baking sheet and turn the oven on to 200oC/ 400F/ gas mark 6. Put the dough onto the baking sheet and use your fingertips to stretch it out to round about 1cm in depth. Lightly oil the top of the loaf, then cover with cling wrap and leave to rest for 30 minutes while the oven heats up. When the bread is ready to bake, pour a little more olive oil over the top, then sprinkle with a good pinch or two of sea salt. Bake for 20-30 minutes in the preheated oven – until the base gives a good hollow sound when you tap it, and the top is golden but not too brown. Cool on a wire rack before slicing and devouring. I make Focaccia very regularly; you might be surprised to learn that I can’t buy it in my part of Italy, here they sell something they call pizza, which is a cross between pizza with no topping and focaccia but isn’t as nice. You’re very good to make it without scales etc.I use fresh yeast but don’t use any sugar. I’ve never been to the Hebrides, it looks spectacular. Hi Christina. 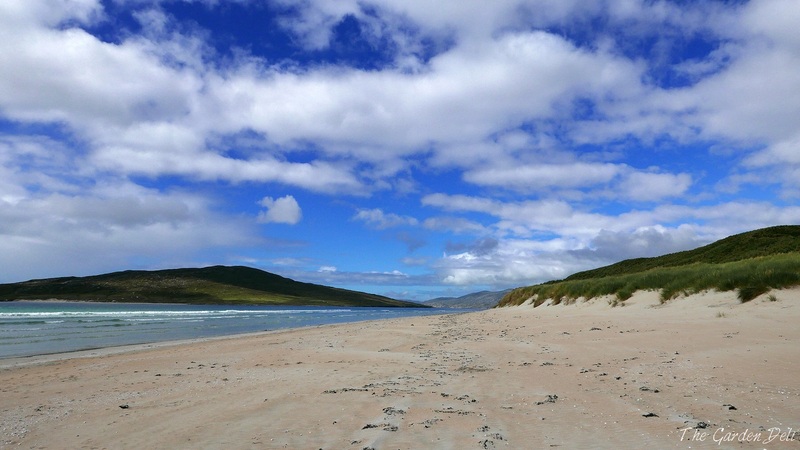 Yes, the Hebrides are beautiful – even in the rain. I didn’t realise that focaccia was a regional bread in Italy, or that there was a form of pizza like you describe… I’ll need to look into that. I wouldn’t usually use sugar in focaccia either, but the yeast I had suggested using it. Stunning photos and the bread looks darned good too! Thank you! At home I would use two tablespoons of olive oil (or two good glugs from the bottle), but the spoon in the photo is just a normal dessert spoon that was in the kitchen where we were staying – I don’t think the measurement is too crucial, just enough to add some flavour and soften the dough a little. I am starting to look for more bread recipes so can bake this fall and winter; this looks really interesting. I liked the beach photos, this looks like such a wonderful spot to vacation for a bit. Beautiful scenery and beautiful bread! 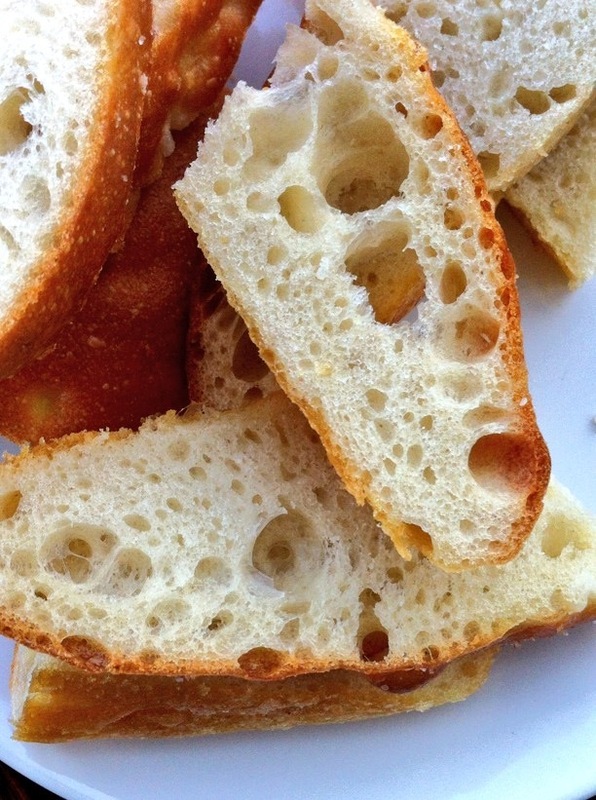 Your focaccia looks amazing, great holiday baking. And those pics of turquoise sea, white sand are stunning, like the sound of seaweed shortbread with coffee too – in fact I really fancy the whole holiday! Wow…. What an incredible sounding place. I love your description of the tantalising colour palette on offer (and I know exactly what you’re talking about when you describe that turquoise green of breaking waves)… Beautiful! What a stunning place to visit – your photos make me want to go there. I love focaccia; it’s one of those breads always best home made and eaten slightly warm and would be lovely with a chunky autumn soup now that chillier weather is upon us! Hi. Thank you. I’ve been a bit (very) rubbish at keeping up with blogging recently… and at leaving comments on other people’s blogs. But I’m still reading yours, and looking forward to some Tasmanian sunshine to get me through the Yorkshire winter!